Kenneth Cole Men’s Dress Shirts Just $14! Down From $69! 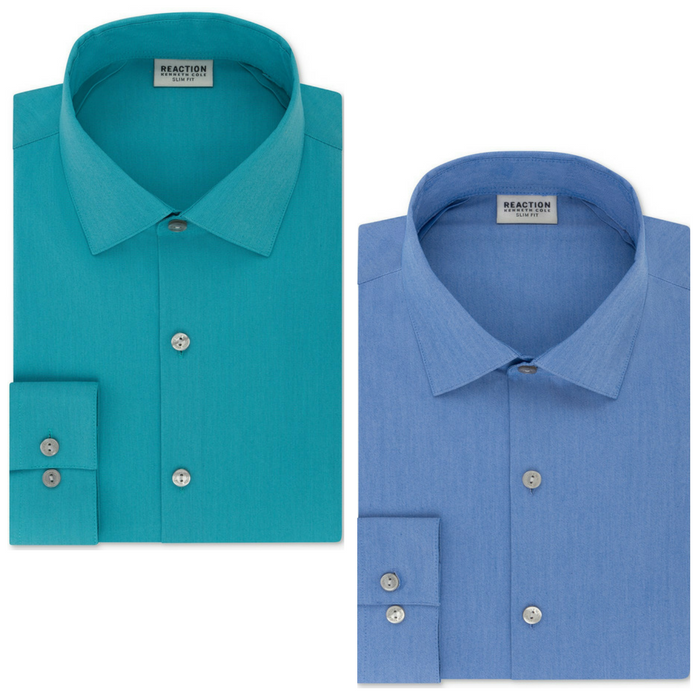 You are here: Home / Instagram / Kenneth Cole Men’s Dress Shirts Just $14! Down From $69! Until February 25 only! Macy’s is offering these Kenneth Cole Men’s Dress Shirts for just $34.99 down from $69.50! Then, you can snag this 50% Off $100 Men’s Dress Shirt Purchase – price will automatically adjust in your shopping cart, no promo code needed! Awesome, right? Even better, you can use promo code BIG to get an extra 20% off your purchase! This means that if you purchase 3 of these shirts, you will only be paying $14 each. PLUS, get FREE store pick up or FREE shipping with any beauty purchase or for orders $99 and above!